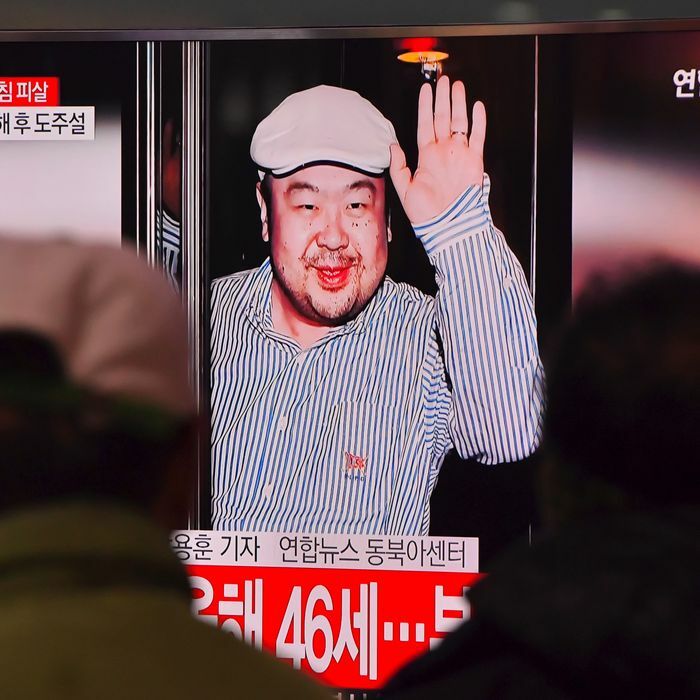 Kim Jong-nam, the older half-brother of North Korean leader Kim Jong-un, was killed in a Malaysian airport Monday after he was sprayed in the face with an unknown liquid, police said Tuesday. The attack was carried out by two women who escaped the Kuala Lumpur airport by taxi after the attack, according to TV Chosun, a South Korean news channel. “The deceased … felt like someone grabbed or held his face from behind,” a police official told Reuters. “He felt dizzy, so he asked for help.” Kim Jong-nam died in an ambulance on his way to a hospital. On Tuesday, Kim Jong-un was already being blamed for his brother’s death, with one South Korean politician saying the killing was a “naked example of Kim Jong-un’s reign of terror.” If the North Korean dictator did indeed order Kim Jong-nam’s killing, it wouldn’t be the first time he signed the death warrant for a family member. In 2013, his uncle and North Korea’s second-in-command was convicted of treason and sent to a gun range where his body was turned to pulp by anti-aircraft machine guns.